Living in Toronto, parkas are definitely a must in the winter months! Black is always a popular choice for winter gear, but it can get repetitive. If the cold weather we’ve been having is giving you the winter blues get a fun, new parka and heat things up! 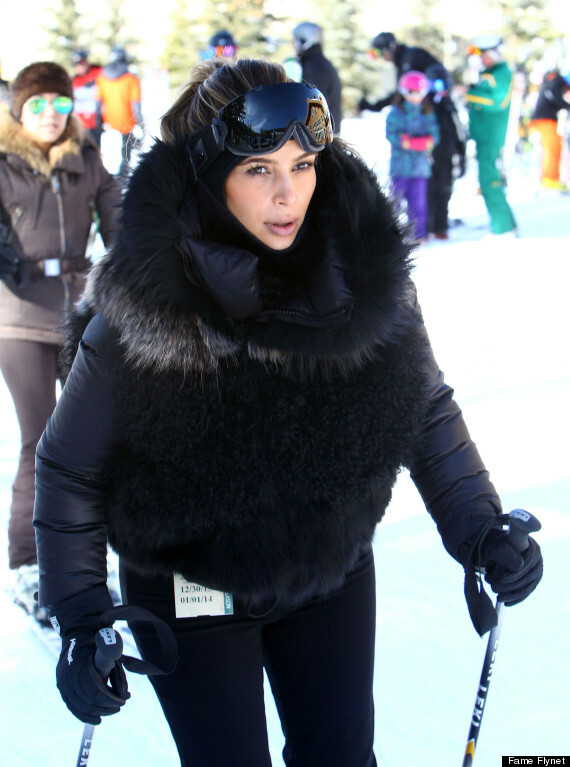 Even the Kardashians love their parkas! As seen on Kris Jenner & Kourtney Kardashian, Kim Kardashian, and Kendall Jenner. As seen on Katy Perry, Olivia Palermo, & Cara Delevingne. Try something different from the usual choice of black. Go for earth tones, camo prints, shades of gray, and fun furs! Below you can Shop the Trend for Under $250. A camel coat is a timeless classic that is a staple in any womans wardrobe. Celebrities like Kate Moss, Jessica Alba, Kris Jenner & Nicky Hilton have all been spotted rocking the trend! Kim Kardashian loves her camel coat! Below she wears it three different ways. As seen on Jessica Alba, Jessica Biel, & Kate Bosworth. Camel coats can be worn over a suit after work, paired with combat boots and a white tee, or thrown on with a scarf to run errands. It is a look that can easily be dressed up or dressed down! Below you can Shop the Trend for Under $200! Pink Coats were a common trend on the Fall ’13 runways, as seen in the Celine, Carven, and Mulberry shows. Celebrities like Kim Kardashian, Jennifer Lopez, Eva Mendes and Ashley Olsen were all quick to add the hot new piece to their wardrobes. Ashley Olsen, Kate Beckinsale, & Dakota Fanning all rocking pink coats! As seen on Kim Kardashian! Pink coats easily become the statement piece of any outfit and are a great way to brighten up dull winter days! Below you can Shop the Trend for Under $200! Choosing what to wear to bed is a decision each of us faces every night. Many times we resort to our ex-boyfriend’s boxers or Dad’s old t-shirts, but what to wear when we have guests or “a special someone” over for the night? Every woman needs a chic set of pyjamas for rolling around in the sheets, on cold winter nights! Below is a guide to stylish pyjamas for every woman’s budget. This year, floppy hats have really taken a place in the wardrobe of many women, whether it be celebrities, or bloggers alike. 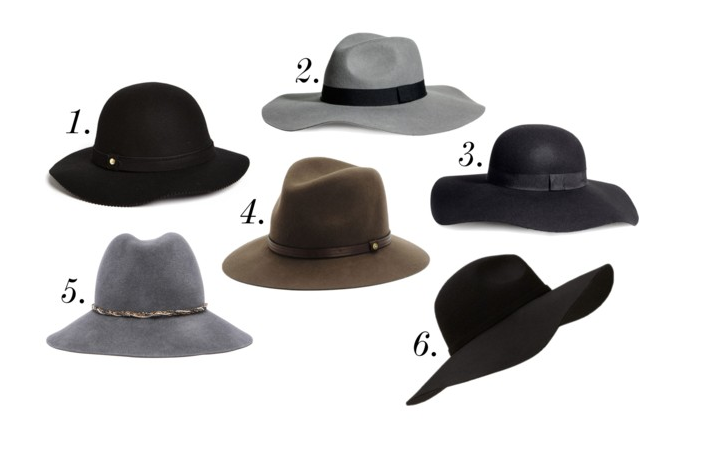 A great floppy hat is such a statement piece, especially when you feel like adding a little edge to your outfit. The great thing about these wide brimmed hats is the fact that, (depending on the size of the brim and the material), they’re acceptable from anywhere to the beach, or on a night out! So I know this isn’t anything quite new, but I’ve just recently really gotten into wearing jewellery other than a necklace or a watch, and found that hand chains have now become my obsession. Even though the trend started last year, they’re here to stay, and the trend is stronger than ever. Hand chains are such a great alternative for those who want to either subtly, or boldly, spruce up any outfit. Whether the occasion is formal, or casual, there are so many different hand chains out there which can accommodate anyones taste. Kim Kardashian, Rihanna, and Miley Cyrus all love their hand chains! For me personally, I’m not privy to feeling weighed down, or overwhelmed by stacks of jewels on my hands; so a great hand chain has now become a staple in my wardrobe. They’re simple, yet intriguing, which is why I’ve grown to love them so much. 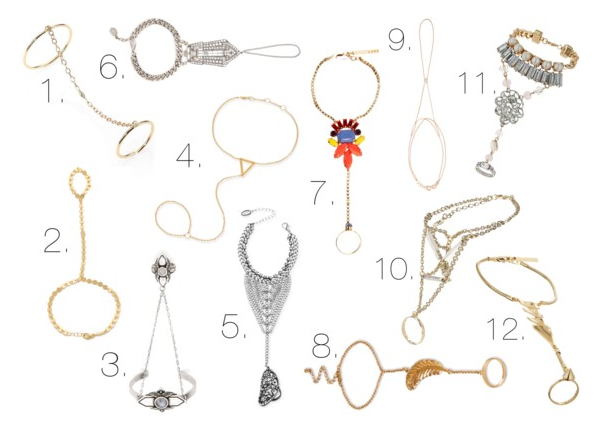 There are so many different variations of hand chains, which can make the prices range anywhere from $5 to $300+, so I put together a list of some of my favourites on the market right now.